The Rayner Plate, once again kindly sponsored by Ron Williams, reached its conclusion tonight as the battle of the Southern Ports saw Port St Mary A beat Port Erin. It was a historical night as Port St Mary A won their first piece of team silverware and they did it with a resounding 65 chalk win 172-107 (8-0). Port Erin started the match with a twelve point advantage which was instantly reversed when Michael Collister beat Harry Minor 21-5. Next off, Juan Hargraves beat Bernie Durcan 21-15 closely followed by Trevor Quayle 21-13 against David Cain and Chris Oates winning 21-11 against Dave McCabe. With Port St Mary leading 88-60 after the first four games Port Erin were hoping their back four could mount a comeback. It was not to be however as Robbie Cooil ran out 21-11 winner over Steve Durcan and with Port St Mary leading in the other games on the green it put the match out of reach. The remaining games saw Paul Skelly beat Seamus Whelan 21-10, Ewan Cooil won 21-10 against Stuart Gale and finally Wayne Roberts beat Peter Addison 21-16. At the conclusion the trophy was presented by sponsor Ron Williams who thanked Peel Sunset Bowling Club for hosting the event and to Arnie Withers who refereed the match. 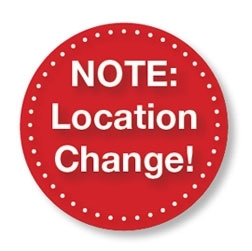 The IOM Merit due to be held this weekend at Peel has been moved to South Ramsey. Marown A took advantage of South Ramsey A not playing last week to move into top spot of Ellan Vannin Fuels Men’s league division one. The Crosby boys put in a strong performance to beat North Ramsey A and move seven points clear of their closest rivals. In truth South will be favourites to overturn this deficit when Marown sit out so if Neil Withers charges want to put the pressure on really set alight their championship aspirations their aim should be simple. They must win tonight and either equal or better the score of the Ballure side and follow this up by beating them when they face off next week so that they give themselves at least ten points advantage, which they will aim to maintain and hold going into their own break. If they can do this they will guarantee themselves top spot with only three games remaining. This is easier said than done however and the lads from Ramsey will be planning on doing the exact opposite and eroding their lead at every single opportunity to put themselves back on top and in pole position for their first Division One League title. Champions Onchan A had a decent run out beating a battling Finch Hill A side 8-2 to all but guarantee themselves third place. I think realistically their defence of their title is over now, but you just never know. With only nine games left and eleven points to make up it will be a tall task for anyone, even a team with championship pedigree such as theirs. Third placed Port St Mary A didn’t have things their own way against a rejuvenated Nobles A side who are clawing themselves out of the relegation zone. Port won 6-4, but only just, after tying on games and taking the bonus aggregate points by just seven chalks. Douglas A have finally started their engines. Many fancied the Villa Men to be much closer to the top of the table and at least challenging for third place however some lacklustre results has seen them close to the teams below them than those above. They managed to put this behind them in spectacular fashion last week with a magnificent 10-0 maximum win away at South Ramsey B. With the Rayner Shield final only a few weeks away they will be delighted to at last find some form. Ballaugh A are making their own bid for survival and will be ecstatic with a brilliant 7-3 away win over Douglas B. They have two home games coming up and with Nobles having two tricky away fixtures in the same period will be hoping to capitalise and make back the four points they trail by. Castletown A made it three wins on the spin as they just got the better of local rivals Port Erin A 6-4. This should give them confidence as they go into the hardest away fixture of the year as they travel to South Ramsey A this week. Second Division leaders Peel A failed to take the aggregate points for only the second time this season as despite winning on games they lost on overall points to draw 5-5 away at Port St Mary B.
Castletown B took full advantage of their rivals slip up winning 9-1 away at North Ramsey B to close in to just seven points off the lead. Peel B put in a strong performance to leapfrog Marown B into third place beating Brian Kelly’s charges 7-3 in the sunset city. Both of these teams have an outside chance of promotion but they will need to start closing the gap now if they want to turn chance into reality. Douglas C are still sitting pretty on the perch of Division Three after a decent outing at Nobles C where they won 7-3. Nearest rivals Port Erin B managed to gain one point back as they picked up a good 8-2 home win over Castletown D.
It is Douglas’ turn to rest this week and port will be hoping to get at least eight points to hit the top and put the pressure on Douglas when they take to the green again next week. Realistically thought I think Douglas are too strong and that even a maximum for Port might not be enough but you never know points on the board are better than those that teams should get on paper. 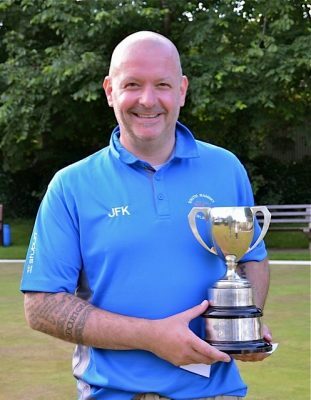 The annual Thursday afternoon Dreswick Cup was held at Port St Mary BC on the 21st of July once again kindly sponsored by the Albert Hotel P.S.M, with a good entry of 45 making the trip south to tackle the tricky ever quickening green. The competition was played in excellent conditions all day and the competitors were kept well refreshed as always by the ladies section of the host club. At the conclusion of play it was down to a closely fought final between two multiple winners in the form of South Ramsey’s John Kennish and David “Barney” Kelly from Douglas with the former just taking the honours 21-20 after a mini comeback at the end when it looked like Barney might just have enough to get over the line. In the semi’s Barney won a comfortable game 21-12 over Ewan Cooil from P.S.M with Kennish coming through to the same scoreline against a new face to many in the form of Steven Waters from North Ramsey who only started playing the game a couple of months ago but belied his inexperience to take some good scalps along the way. Fallers at the Quarter final stage were Ray Maddrell (P.S.M), David Bradford (South Ramsey), Mike Ashmole (Peel Sunset) and the newly crowned over 60’s Manx Champion Dave Faragher from Castletown. Robert Cooil the clubs Vice President was on hand at the end of play to thank all the entrants for making it a good day, he also thanked Ray Watterson for producing a challenging playing surface, Sean Lillee for running the sheet and the clubs ladies section for all their hard work creating and serving all the refreshments. He then introduced Pat O’Meara from the Albert Hotel P.S.M to present the prizes and the trophy to the winners. 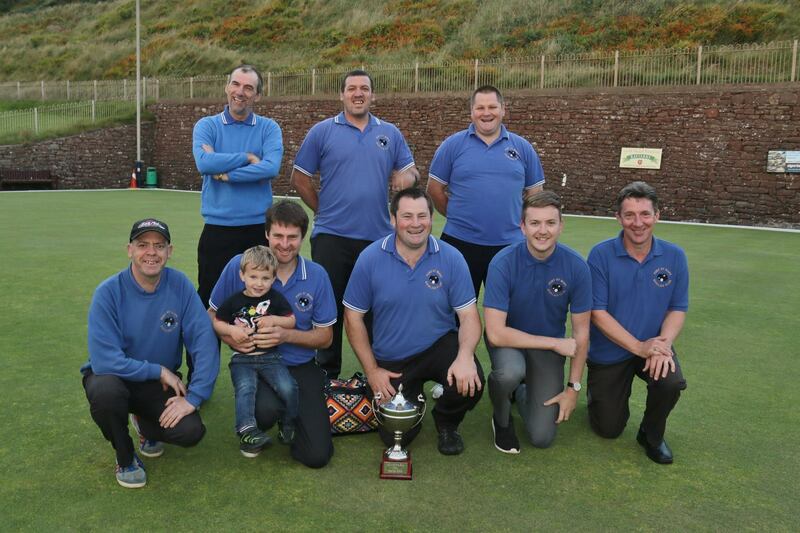 Thirty pairs made the annual pilgrimage to Marown on Tynwald day to take part in the Grimshaw fours and it was Colin Kelly & Michael Collister who came out on top in a magnificent final. They took the win by the narrowest of margins beating farther and son pairing Dave ‘Barney’ Kelly & Stevie Kelly 21-20 after a terrific encounter. The balance of play couldn’t have been more even until Collister found an out of this world front toucher with his lead on the final end to seal the fate of the battling challengers who couldn’t find a way to better it. Kelly & Collister also have to show their metal in the semi-finals as they eliminated newly crowned Manx Doubles Champions John Kennish & David Bradford 21-19 after another ding dong battle. The Kelly’s also had a tricky encounter against Port St Mary’s Ewan Cooil & Wayne Roberts but had enough in the tank for a 21-17 win. Losing out in the quarterfinals were Steve Parker & Steve Walmsley, Grahem Moore & Les Warburton, Ian Kissack & Mike Hargraves and Peter Slinger & Kevin Quirk. Thanks go to Marown for putting on and running another superb competition. There was a disappointing entry of 18 for the ladies’ singles played at Nobles on Saturday 23 July for the Jordan Cup, but what the field lacked in quantity it made up for in quality ! The final could almost be described as “a game of two halves”, as Chris raced into a lead of 13-5. Playing a mark along the far edge of the green Shelley then won seven ends in a row to level at 13-13, and the next end to take the lead for the first time at 15-13.The game was evenly matched for the next seven ends, to leave Shelley at 19-17, before she cleared up the last two to win 21-17. The presentation was made by Joyce Ogden who thanked all those involved in running the event, particularly the ladies for doing the refreshments and Stuart for running the sheet. 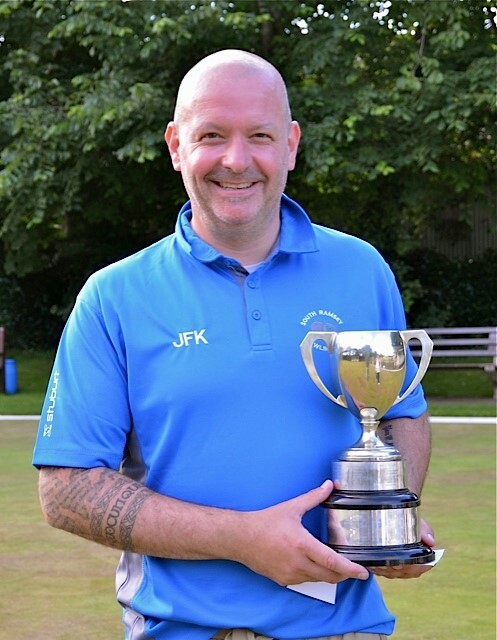 There was an entry of fourteen pairs for the ladies’ doubles at Onchan on Wednesday 20 July, where players were competing for the Commissioners’ Cup. Despite the small entry there was a lot of fine bowling on display. Semi-finals: Helen Martin and Janet Monk 21, Philippa Taylor and Joyce Ogden 13; Christine Price and Maureen Payne 21, Rosemary Quirk and Caroline Parker 8. As the Chairman of the Commissioners was unable to attend, the cup and replicas were presented by Onchan Club Captain, Libby Andrade, who thanked all those responsible for the smooth running of the event. Ten quartets entered for the Association Millennium Fours played at Nobles’ 2 on Saturday 16 July. Each match consisted of two singles and a doubles, the protagonists being selected by a draw, each game being to 15 giving a possible score of 45 for the match. The weather stayed fair and allowed for some enjoyable bowling. In the semi-finals the Nobles’ team won 39-28 against the Ronairco Babes with Paula Firth and Sylvia Kennaugh winning the doubles against Linda Dawson and Tracy Moore 15-9 and Clare Cooper coming through 15-4 against Chris Holland. In reply Amanda Lawler beat Lin Ruscoe 15-9, but it was too little, too late ! The other semi-final through up the closest result of the afternoon, with Pink Ladies A edging out Mix and Match 39-38.The two singles were split, Mavis Franks beating Caroline Parker 15-9 and Rosemary Quirk responding 15-11 against Lynda Cadamy. This meant that Helen Martin and Janet Monk had to win 15-12 against Philippa Taylor and Mary Alderson for the Pink Ladies team to go through, which they duly did. In the final the three games were on the green at the same time. Things were tight after the two singles came off, with Paula Firth beating Janet Monk 15-7 and in reply Rosemary Quirk coming through 15-11 against Clare Cooper, meaning Nobles were four points ahead awaiting the result of the doubles. There was not long to wait as the Pink Ladies won 15-4 to make the match result 37-30 in their favour. Association president Rosie Winckle thanked all who had helped during the afternoon, Nobles for the use of their facilities and Mooragh Park for measuring and providing the refreshments. Ballaugh scored a maximum in the Trend sponsored over sixties league on Thursday 14 July against Mooragh who were a player short. There were good performances from Peggy Freeman, who reached 16 against Voirrey Oates and Maureen Wright who went one better against Ann Gale .It was a tight match between Port St Mary B and Breagle ending level on games with just 3 points between the two teams. In the closest game of the match Chris Holland was pipped 21-20 by Hesba Skelly. After their close encounter on Tuesday, Peel were more dominant on home territory on Thursday, winning 5 games with Pat Kelly being the lone winner for Villa. Port St Mary A were made to struggle when they travelled to Port Erin, having just two winners in Tricia Bull and Margaret Tasker, the home side ending with a 10 point advantage. Douglas had two winners against Onchan, Jan Osborne to single figures and Sue Caley who edged out Joyce Gardiner 21-19.